The key to impressive, high-quality videos is a good camera. 10 years ago the quaity and filming skill meant nothing on youtube, however if you take a look at the most successful vloggers on youtube their videos are top quality. So lets take a look at the cameras that the famous YouTubers use. Almost all of the listed YouTube stars use a variety of models for vlogging, and often experiment with different types: one, because they can afford it, and two, because brands ask them to. The list above is what camera or cameras we found to be their preferred camera. Now that you have a fair idea as to the types, models, and brands of video camera that your favorite comedian or mentor uses, we should get down to their reviews. These will help you in narrowing down your options and make a better choice, based on the budget, type of videos you intend to create, and other miscellaneous factors. 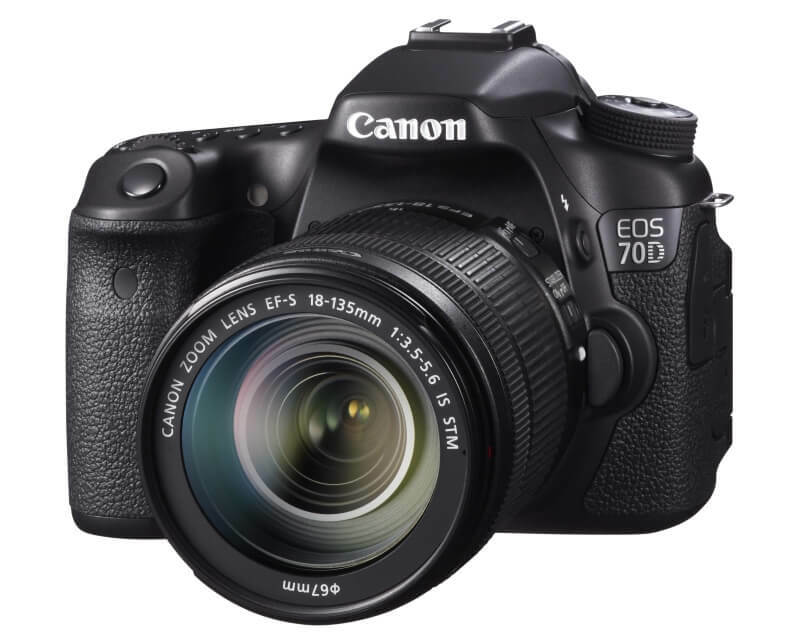 Vlogger’s Best Friend – The 70D camera is popularly known as the vlogger’s best friend. As debatable as that previous statement may be, we have certain big names to back its case up. Casey Neistat considers it as his primary camera and most probably used it shoot his most recent and now viral video titled “Human Flying Drone”, he also made a youtube video entitled ‘the best camera money can buy’ talking about the 70D and how great it is, see video below. Ever wondered how KSI creates those crisp videos of him fooling around in his apartment, including the time when he received the diamond Play button from YouTube? That’s the Canon EOS 70D right there. Fast Auto Focus – One of the biggest features that makes this camera a favorite model is its in-built Dual Pixel CMOS fast autofocus, which allows you to shoot crisp shots without the tantamount fear of blurs or cloudy grains on your video. Camera Specs – It is a Digital Single-Lens Reflex (DSLR) camera with complementary EF-S 18-55mm f/3.5-5.6 IS II Lens and support for all types of (stepper motor technology) STM lenses that offer near silent focusing. Just over 10 pounds so that it can be carried in your bag on your travel itineraries, the 70D boasts of 20.2-megapixel APS-C CMOS sensor, 7 FPS shooting capability, 3-inch touch LCD with 10 million dots for sharp viewing, and an intelligent viewfinder with electronic overlay. Clear Bright Videos – Tanner Fox is often asked about his camera because of the clear and bright videos that he posts on a daily basis. The same is with nigahiga (definitely not the 70D if you are referring to his second most popular video of all time, “How to be Ninja”). Therefore, there’s only one answer for that burning question, “Which camera does my favorite YouTuber use for vlogging?”: Most likely the Canon EOS 70D. Comparing Versions – The 70D camera, often compared with its little brother – the 60D – and 8 out of 10 times, the elder one wins. Even though it has a smaller dial and no auto-dimming sensor (compared to Canon’s Rebel series), the 70D is the most capable camera for your vlogging activity. Seriously compact Camera – It is considered to be the most compact vlogging camera in the world. In addition to the fact that it’s smaller in size than the company’s other hybrid models, it is lightweight, has the essential flip screen, a nicely done autofocus, ultra-sensitive capacitive touchscreen, and is cheaper than the 70D. However –It has its fair share of cons such as fixed lens (which means you cannot change them when you want to get a long-shot for your travel vlog, say, about the Taj Mahal) and its focus ring makes an annoying sound, making most to compare it with the Sony A6000, another underrated camera for almost the same price. When compared to the EOS series, G7 X’s display is rather on the low side with a screen resolution of only 1.04 million dots, a travesty to an otherwise splendid and easily portable camera. Amazing Travel Camera –It is an SLR camera with 20.1-megapixel CMOS sensor, 8 FPS shooting cap, and multi-angle 3-inch LCD display. If you are a travel vlogger and have no other serious factors to consider, then the G7 X is your best option. Neistat uses it for his short vlogs, while PewDiePie’s partner Marzia recommends it as “an amazing camera!”, although now we know she also uses the Canon 7D. 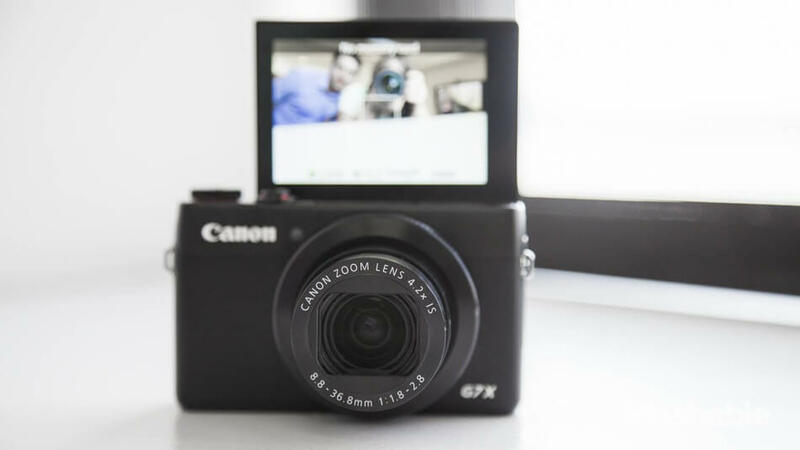 2nd Best –The PowerShot G7 X is the second-most popular camera overall, with the likes of PewDiePie himself, Roman Atwood, and the SHAYTARDS using this camera for their vlogging purposes. So much that Lance Stewart once openly endorsed it on Twitter. (The marketing and PR team of Canon must be so happy with Lance). Someone on Quora gets it right when he says that Canon’s EOS series make it on all web posts that talk about the best vlogging cameras. Almost the same price as the PowerShot G7 X, the Rebel T3i is a DSLR camera which is best known for its articulating LCD (flip screen), full HD support, fast autofocus, and 18-megapixel sensor. Problems to know –Lots of people seem to complain about its inability to shoot videos related to sports as the sensors tend to add snap blurry videos, which is a strict non-no. It is also known to overexpose in direct sunlight, a problem that highly prevents it from being a choice of travel and lifestyle vloggers. The Good News –It looks similar to the 60D, and is a better version of it. Together with a good grip, when you mount the 18-135 mm lens on the T3i, it will feel like you are the most powerful cameraman in the vlogging world. Compared to the T2i, its older version, the T3i is definitely a better prospect because of its superior movie mode, swivel screen, and the godly Live View mode. 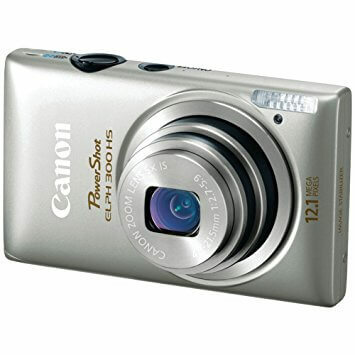 Famous Youtubers like it –Although Zoella uses the PowerShot S120 on a regular basis, we have heard in the grapevine that she prefers the Rebel T3i, a choice of other superstars like Tanner Fox, nigahiga, and LAHWF. In June 2016, Fox officially made the transition from his T3i to the ever-powerful 70D with 10-22m lens. Now it is up to you to decide which one you want to go for?.. Top level Instruction – Andrew Hales (of LAHWF) has a whole 4-minute video answering frequently asked questions in which he confesses the model of the camera that he uses and prefers. 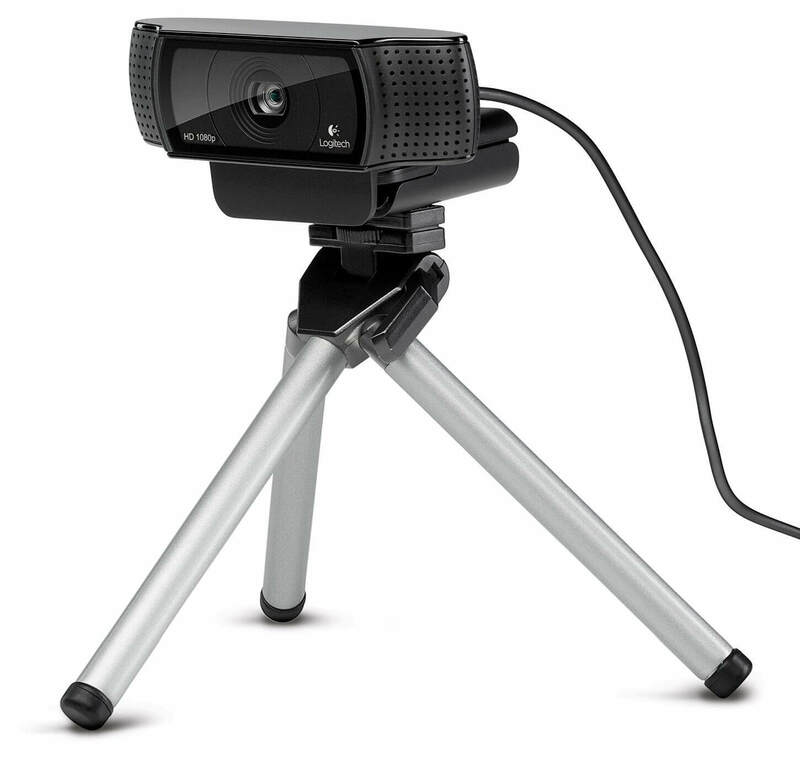 PewDiePie’s Webcam – Thought we would ask Canon to take a brief vacation from being the favorite brand of vloggers, and ask Logitech to tell us what makes its QuickCam Pro 9000 so special that it helped Felix Kjellberg earn more than 52 million subscribers, a world record which may take some aggressive vlogging tactics by his competitors. Webcam not a Camera – The first thing to note here is that the QC Pro 9000 is not a camera per se, but a webcam, which PewDiePie uses to capture his expressions when he is commentating. When he is talking to his viewers, he is either using the Canon XA10 or the handy Canon PowerShot G7 X.
Swiss Quality – Carl Zeiss lens was like the deal-breaker in webcams and digital cameras when they broke the photography market in early 2000s. Coupled with the Swiss company’s trademarked RightLight technology, the QuickCam Pro 9000 boasts of superior image quality with up to 1600×1200 resolution, 2-magepixal sensor, and a flexible stand. Not compatible with Mac – It comes with its proprietary QuickCam software, but Mac users may have to stand outside the room because it doesn’t work with Mac’s operating system and you won’t get to use the crazy effects and other audio-video optimization tech that it provides. Professional Skype Calls – Other than the vlogging purpose, it will also help you in Skype calls especially when that producer contacts you for a role in his new web series. You need to look your best and Logitech is here with a good solution. Value for Money – With a two-year warranty and an affordable price tag, this one is the best option if you are a game reviewer/commentator who wants to capture your countenances to additionally make your viewers roar with laughter. So, the next time you wonder why PewDiePie’s funny-looking nose looks even more funny, you have some people in Switzerland to thank. His 13th most watched YouTube video (ca. 2015) is the “FUNNY GAMING MONTAGE”, so go over and watch QuickCam Pro 9000’s magic at work. Best of both worlds – If DSLR and compact cameras had an affair, then the Lumix DMC-GH1 would be their good-looking and intelligent child. It is the best option for people looking for higher-quality images and videos but need to transport them from one place to another. It currently has the highest resolution swivel-screen (flip screen) with a near-perfect movie mode, fast AF, and full manual control. Changeable Lens – Priced a bit lower than Canon 70D, it has 12.1-megapixel MOS sensor, interchangeable lens (thankfully), 4.6 million dot-resolution, intelligent face detection (which does not give out wrong age, luckily), and a peculiar autofocus function that makes it slightly a better choice if you are into sports, drama, or lifestyle vlogging. Spare Battery? – The biggest problem is the poor battery life, which makes it a worse choice for travelers. A reason why Shane Dawson is the only YouTuber in the list who prefers it over other models and brands. Or maybe he has a bag of multiple extra battery sets that he carried to wherever and whenever he goes vlogging. Shane Dawson Lumix user – Although he uses Canon 5D and RED (we thought only MKBHD was the person in the vlogging space who owned a RED?!) 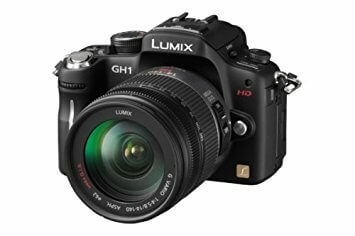 cameras for his short films and music videos respectively, the GH1 is his go-to camera for sketches. Interestingly, while Shane can make better choices at his camera models, we know that he is in a dilemma when it comes to selecting a proper microphone. Great Allrounder – There are plenty of reasons why the GH1-K is a better grab, and one of them is its HD shooting capability without the need of investing a single dime on extra lenses. The native lens kit will be enough for all your purposes unless you are re-filming a Christopher Nolan mind-bender. The Economical Camera – We are back to Japanese technology, and again with a compact digicam. The ELPH series is arguably the most economical vlogging camera that you will find on the planet. Anyone can afford this piece, which has built-in Wi-Fi and NFC (near field communication) so that you don’t have to wait for sharing those vines instantly with your social media fans, 12.1-megapixel CMOS sensor, DIGIC 5 processor, 24mm wide-angle lens, and an appreciable 10x optical zoom. Long Lasting Battery – Its special ECO mode, again keeping vloggers in mind, makes longer periods of shooting on a single charge surprisingly possible. Grainy Images – However, grainy images when zoomed-in and ridiculous image quality in low light situations makes the PowerShot ELPH 330 only the next choice. Clarity Revealed – A lot of folks want to know what camera CTFxC and BFvsGF use and now you can guess the answer. Internet Killed Television are famous for their Charles Trippy-featuring web series, and the clarity of their videos often makes viewers more enchanted than the actual content. Mades You Look Great – The ELPH 300 is also used by Ingrid Nilsen, Datev, Roman Atwood, and the SHAYTARDS to name a few. Vloggers in the beauty and fashion realms also seem to be using the ELPH series because the color grading is fabulous – a must-have feature when you are dealing with colorful products. A More Expensive Canon – Another Canon product and one of the few expensive things in this post, of course after the RED Scarlet and Neistat’s preferred tripod (we are exaggerating, aren’t we?). Seriously Good Image Quality – Compared to the other items in this list, the HF S21 is an actual camcorder and not a camera. 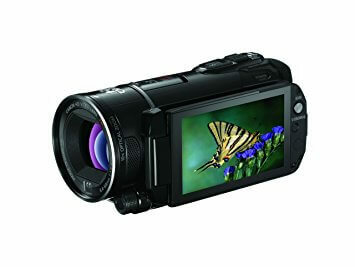 It has DIGIC DV III Image Processor, Canon’s best processor so far, and 10x HD Video Lens which will let you shoot 1080progressive HD video without a noise. Loooonnnng Battery life – On a single charge, you can record up to 24 hours of high-definition video using its 8.59-megapixel Full HD CMOS Image Sensor which will give out a maximum resolution of 1920×1080. 2x memory card slots – It has two memory card slots, so if you are a prolific YouTuber like Markiplier, PewDiePie, or CTFxC, who have all uploaded more than 3000 videos (yet they prefer other cameras over the VIXIA HF), then this is the one you should aim for. Sensor Quality Issue – The sensor pixel is one of its biggest drawback, which is evident in some of Tyler Oakley’s videos. Ask his 8 million subscribers and you will notice that their answers will have complaints about the video quality in some of his spontaneous travel vlogs. Numeroloy with Oakley – Do this exercise on Reddit and you will know that Oakley uses this camera because VIXIA means number 11, which is his favorite number because he believes in numerology. If you are paying attention, you will know that the previous statement is absolutely untrue. Oakley has been using it since (or from) 2011, but he seems to be not very happy about it. Lightweight – 5 pounds (Canon 70D weights 10). Pro Vlogging – It’s finally time to remind ourselves of the things that we can’t easily get in the vlogging world. Products from RED are marketed for and directed towards filmmakers, but since YouTubers are also part-filmmakers, we can consider this one. 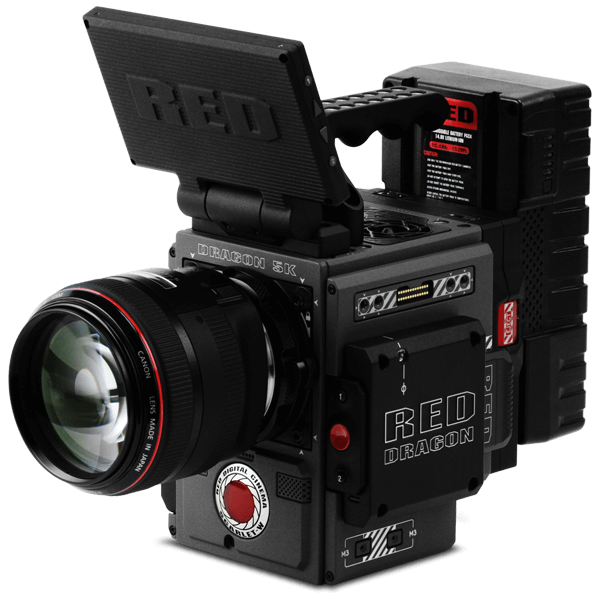 Often compared to the Blackmagic Cinema Camera and the legendary Arri Alexa camera, the Scarlet and Epic Dragon are two of the popular cameras by RED. Color Grading Movie Standard – They offer some serious color grading if you are looking for larger than life images and videos to enthrall your audience. 4k and 5k Resolution – The output RAW files are too large for a normal PC to handle, so you will need to invest on an upgrade, too. And, yes it supports 4K and 5K resolution. Period. The Scarlet M-X has the ability to simultaneously shoot videos and capture stills of up to 5K resolution. Its HDRx technology is out of the world, and will give you the best shots in even the most challenging lighting conditions. Custom Memory – It has its own set of SSD media known as REDMAG with support of up to 512GB and transfer speeds of up to 180 MBps. And the best part is that you can fix lens mounts of most popular brands like Canon, Nikon, and Leica. A More Expensive Canon – The tech spec highlights are 14-megaixel MYSTERIUM-X sensor, up to 9-inch LCD displays, REDLINK wireless support, and a total weight of less than 5 pounds (Canon 70D weights 10). Out of Vloggers Budget..?- MKBHD is the only vlogger we know (Shane’s ownership is disputed) who can afford and uses RED’s products. He has extensively used the RED Scarlet (since 2011), but currently thinks that the RED Epic Dragon A Canon C100 B is the best premium-level camera out there. How can you afford a Red? – The prices of RED products are so high that there is a question in the company’s unofficial forum where a thread asks the tickling question, “How were you able to finally afford your RED Epic?” The answers are hilarious. Note: It was essential to review RED’s products as we have found that people often dive into the topic of best vlogging cameras and leave them out because of their price range. This should set an example for aspiring YouTubers who think that the best can only be achieved by the best, which means a high cost. This is not true as this one article on No Film School explains. It is best to consider one of the other nine models listed here, but if you are an ardent fan of MKBHD and want to follow his footsteps, then we would definitely like to hear about your experience with the RED and how you could afford it without external help. Designed for Vlogging – Another camcorder in the list, it is dubbed as the camera of the selfie generation. This is specifically designed for vlogging, or as some people now like to mockingly say, shooting videos of yourself, which makes it ideal for vlogging purpose. Matthew Santoro Endorsed – With a 12.8-megapixel CMOS sensor, full HD video support, linear PCM audio recording, and wide angle resolution, the VIXIA mini appeals to only a niche group of people in the vlogging world. Matthew Santoro is one of them who debuted his VIXIA Mini use late in 2013 with a video that he shot through the camcorder. The Giveaway – According to Santoro, who was contacted by Canon for an honest review, reviews the model positively with much brownie points given to its small size. Then in May 2015, he organized a contest to giveaway free VIXIA Minis to his followers who would make interesting vlogs. One of the reasons why we love Santoro as he promotes vlogging and at the same time keeps his sponsors happy. Unstable Dealbreaker – It comes with its own set of demerits such as unstable video recording when not placed on a flat surface, limited practicality as you can only use it for vlogging and similar purposes, and bad Wi-Fi connectivity. We personally do not recommend the VIXIA Mini because when you buy a camera you should be able to use it for multiple purposes. Professional Camcorder – The eighth Canon camera model that we have featured on this list, the XA10 is the sort of camcorder that professionals use. Have you seen the cameraman who has his assistant trailing behind him holding an extra flashlight? 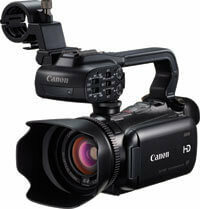 The specs – This type of video camera is similar to how the XA10 looks. It looks more professional than any other model on the list, and boasts of a bevy of features: 10x HD video lens with 8-blade Iris and manual focus ring, native 1920 x 1080 CMOS image sensor, and DIGIC DV III image processor. Best Reviews – It is one of the best-reviewed Canon products and comes highly recommended for travel vloggers. It is small in size, has XLR audio inputs and mic mount, and a detachable handle. The only serious con is its ultra-lightweight; holding and handling it may need some practice or your videos are going to look shaky. One of PewDiePie’s Primary Cameras – Only used by professional video recorders and wedding filmers, it came to the vlogging stage after PewDiePie revealed it as his primary equipment. While these ten are the most popular vlogging cameras out there, there are other lesser-known cameras too which are equally good, but just couldn’t make it to our list. They may be cheaper and better than the ones we have listed above, but it all depends on popularity and features. Of these six, if we had to choose one, we would choose Sony CyberShot RX100 – probably the best thing that Sony created to compete with Canon and Panasonic. Fast forward 2017, and the first thing you notice when you think of creating a YouTube channel and start vlogging is the staggering competition. Collectively, on an average, 300 hours of video are uploaded on YouTube every minute from around the world, which are then viewed over 900 million times a month by its billions of users. As mind-boggling as that statistic may seem, it is a fact. There are tons of established and aspiring content creators and vlogging stalwarts who are trying to create a territory of their own in the virtual video-space, using a myriad of tricks and techniques to grab those eyeballs. After all, the higher the number of YouTube views and subscribers, the higher the clicks and the revenue through AdWords. Hence, if you are someone who is trying to be like Vegetta777 or Lilly Singh (aka !!Superwoman!! ), and want to upload kickass-quality videos to become a successful vlogger, then the first thing you should consider doing is investing in a superior quality video camera (camcorder). There are a lot of popular YouTubers who use their iPhone or Samsung (or most recently Google Pixel) cameras to point and shoot spontaneous videos of, say, them doing a backflip in Disney Land or them saying, “Damn, Daniel!”. But, that doesn’t mean you should stick to your smartphone camera. 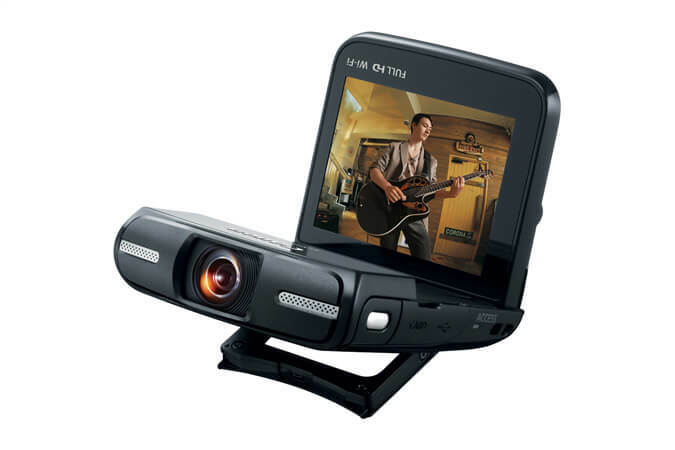 Camera brands like Canon, Panasonic, and Sony manufacture a wide range of models of video camera that have a variety of qualities and features. If one model has a flip screen, then another camera will have a flip screen and a more delicate sensor. These products are also priced variably, a vlogging camera could set you back between $150 to $5000. $1000 roughly for the 70D which is regarded as the best vlogging camera. We hope you found our camera list useful cameras used by the top 30 YouTubers in the world. In the section that follows the list, we reviewed the top 10 camera models, which will help you make the wisest purchase for your newest hobby. Things to note here are that although famous YouTubers now use multiple expensive and premium cameras, they began with and once used the lighter models (those that you may already have for your personal use). So, don’t feel down if you cannot go with the best. You can always choose the alternative, and when people start visiting your channel and begin hitting those Like and Subscribe buttons, then you can upgrade. A perfect curve of how MKBHD (or Marques Brownlee) came to afford his RED Epic Dragon camera. Also, almost all of the listed YouTube stars use a variety of models for vlogging, and often experiment with different types (one, because they can afford it, and two, because brands ask them to, and you didn’t hear that from us). So, if you don’t find a specific model listed against a particular YouTuber, don’t get worked up, because it simply didn’t come up during our research. For example, we think that Roman Atwood uses Canon PowerShot ELPH 330 HS, but the most verifiable reference we could find for that was a Reddit thread, which is like asking users in the YouTube comments section to recommend a good track by 50 Cent. You will be inundated with so many comments that within seconds you will have earned $10 million, travelled to Australia, and found your way to a debate talking about the rationality behind TheFineBros’ attempt to copyright the word “React”. The following list is in alphabetical order. 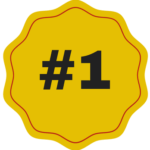 Number of subscribers was an important (but not the only) factor in selecting the top 30. The list was last updated on 9 January 2017. It looks like Canon EOS 70D is the go-to video camera for majority of vloggers. Out of the 30 YouTubers that we covered above, seven of them use the 70D as their primary machine to capture. The next popular are the Canon PowerShot G7 X and the Canon PowerShot ELPH 330 HS, both of which have their own various defining features for vloggers to consider. While Canon XA10 is only used by PewDiePie in this list, Canon Vixia HF S21 is another favorite, used by Tyler Oakley and (rumored) Lilly Singh. We really don’t know which camera model the latter uses, but she must be using something with fast-focus shooting as almost all her videos give out this neutrally hueless texture which we are yet to find anywhere else. Or maybe she’s just great at Final Cut Pro X. If you observe the list above, Canon is the top camera brand that YouTubers prefer. Even if they use products of other brands, the Japanese company founded in 1937 appears to be the crowd favorite. Further, the video creation industry seems to be in awe with products made in the land of the rising sun as Sony and Panasonic are the other two companies, both of Japanese origin, whose products vloggers prefer. The decade-old RED Digital Cinema Camera Company is the only exception of the American milieu when it comes shooting gear, with Logitech holding waters just because PewDiePie uses their products to capture his trademark reactions while he is playing and panning those video games, one of which was recently dubbed as the worst of 2016 and the century so far (did anyone say No Man’s Sky?). MKBHD must be generating massive revenue from his videos as he is the only dude here in the list who can afford the RED Epic Dragon, the costliest item you will find on this post if you do not consider the JOBY Gorrillapod tripod, an unreasonably priced gear, for which we should blame Neistat and only him.